A lot can be learned from how the big names of NASCAR -- a $3.5 billion industry -- manage their money. Even rich NASCAR drivers struggle with keeping the outflow of cash balanced -- and below -- their income. According to a recent report by economists at Princeton University and New York University, about one-third of American households -- 38 million of them -- are living paycheck to paycheck, with little liquid wealth. The bigger surprise is that two-thirds of those 38 million households might even be considered affluent. We hunted down the strategies used by the richest and most famous racers to help NASCAR fans learn how to better budget their paychecks. 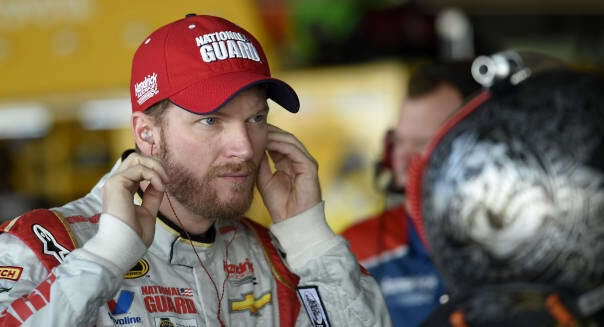 Dale Earnhardt Jr. earned $14.9 million from racing in the year spanning from June 2013 to June 2014, according to Forbes. The race car legend has grown his empire to include lucrative ventures like ownership of two Whisky River bars, and earnings of $11 million from endorsements in the last year. Earnhardt, the highest-paid driver in NASCAR, with total annual income of $25.9 million, and he was also voted NASCAR's Most Popular Driver in 2013 for the 11th straight year. As Earnhardt built his career on the track, he also learned to manage the wealth that came with his success. "When you first start driving, you don't understand the value of a dollar," Earnhardt told ESPN. "You don't understand how far a dollar will get [you] when [you're] 50 years old. Five years into your career you're starting to understand it. ... I need to be smart here and put away a nest egg and build on that. You take baby steps. I did." Like Earnhardt points out, starting small is key. Saving just a little bit from each paycheck will help you stretch them further today, have an emergency fund to fall back on if needed and secure your financial future. Even just saving a few dollars a week at first, like with the 52-week savings challenge, can lead to big changes in your spending habits. At 14 years old, Jeff Gordon showed up at an Indianapolis Valvoline office and talked his way into a sponsorship that would get him free oil for his Sprint car, reports ESPN. The initial response was to ask Gordon how he got to the office, to which he replied, "My mom drove me. How about that oil?" Gordon must have gotten over his fear of asking for a deal early on. It's surprising how often a simple request can lower a price on anything from debts owed to overdraft fees or monthly bills. Another key is to keep spending low even as paychecks grow. Gordon, along with wife Ingrid Vandebosch, decided after the 2007 birth of their first child to scale back and provide a more normal lifestyle. Gordon cut his personal staff down, got rid of a yacht and full-time crew and leased his private jet out to other travelers through an airplane motor pool. "People think I'm lying when I say that we're up changing diapers and feeding the baby," rather than hiring a nanny, Gordon told ESPN in 2007. "Anyone who doesn't believe me can stop by at 3 a.m. and see for themselves." Danica Patrick has earned lucrative endorsements like Go Daddy, for which she has appeared in a record 13 Super Bowl commercials. Last year was the first time Patrick raced full time in the Sprint Cup Series, which helped her rack up $15 million in earnings over the last year, securing her the fifth spot on Forbes' list of 2014's highest-paid female athletes. Patrick's smart money move is listening to expert financial advice: ESPNW reports she employs two private certified public accountants to manage her wealth. A personal CPA might not be in your budget, but you can still get access to personal finance advice from experts through books, finance sites, podcasts and even Twitter (TWTR). Improving your financial literacy will give you the know-how to make your money work for you. She knows that daily tender-loving care goes a long way in stretching dollars from one paycheck to the next. One of her CPAs is dedicated solely to monitoring her everyday finances. "She's sort of the comptroller of my money," Patrick said. "[S]he's the one who gets all the payments. She gets all the deposits." You can apply the same principle to your bank account even without the help of a CPA -- check on your finances daily to make sure spending is on-budget and to avoid mishaps like late fees or overdrafts. While Jimmie Johnson's earnings of $24.8 million in the last year made him the second-highest paid NASCAR driver in 2014, he definitely experienced some financial rough patches early in his career. When he was just starting out as a driver in his home state of California, Jimmie had no money to pay for rent, he told Bleacher Report. Instead he did chores around the house and prepared meals for roommates, like his signature barbecued shrimp tacos. Johnson's contributions kept his roommates happy and gave the rookie driver a chance to figure out his financial situation. If you're short on cash, look for other ways to cover your costs. Is there a way to trade services or items, instead of money, to cover your monthly expenses? Maybe a neighbor will babysit for free if you'll keep his lawn mowed in return, or get some help covering gas costs by carpooling with a coworker.